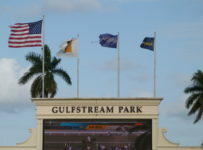 The dirt track is listed as fast and the turf course is listed as firm for Gulfstream Park’s Thursday card, with ten races and first post of 12:50 p.m. It is the start of a Thursday through Monday race week. 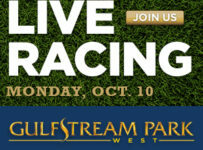 Gulfstream is usually dark on Mondays, but it has live racing this coming Monday which is Labor Day. 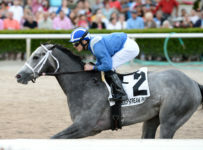 The Saturday card will have six stakes races including the second (middle leg) races in each of the four divisions of the Florida Sire Stakes Series. We will have previews starting Thursday evening. First post is 12:35 p.m. on Saturday and 12:50 p.m. on the other days. 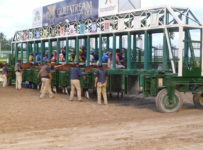 For Thursday, the Rainbow 6 carryover is $150,895.28, on races five to ten. It is a 20-cent per combination only bet. 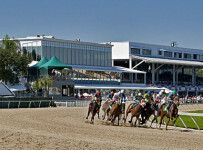 Multiple horses can be used in each race, thus leading to multiple combinations on a ticket. 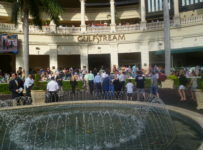 The carryover continues to grow because Sunday was the 14th straight race day without the carryover/jackpot payoff requirement of just one ticket with the winners of all six Rainbow 6 races. 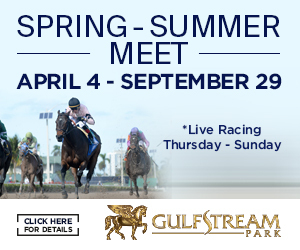 On Thursday, the feature eighth race is 1 1/16 miles on turf for 3-year-olds and up. It has a $43,000 purse and a $16,000 optional claiming price. 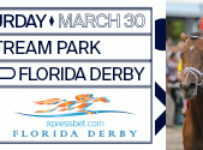 The eighth race is one of four Thursday races scheduled for turf, all with the rail at 108 feet. 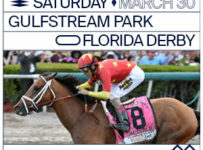 It is almost certain that those races will stay on that surface. 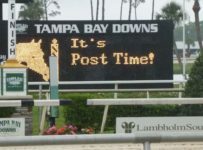 There was heavy rain at times at Gulfstream on the dark days of Tuesday and Wednesday, as South Florida took some outer impact of Tropical Storm Hermine. 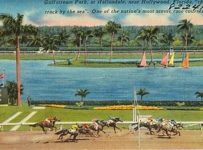 But skies have cleared, and the Weather Channel forecast is for just a 15 percent chance of rain during racing hours in Hallandale Beach. 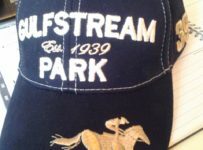 Gulfstream has gone a remarkable 48 race days, since June 10, without having to take a race off the turf. That streak can be attributed to good fortune with the weather, during a relatively dry summer, and the work of superintendent Bill Badgett and his team. 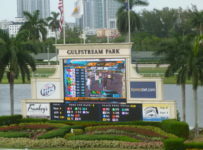 Since early July, Gulfstream has continued to run about half its races on turf—while using only the outer lanes on its wide turf course. 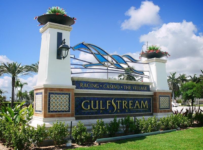 Gulfstream will replace the turf and refurbish the entire course during October and November when it holds its third annual Gulfstream Park West meet at Calder Casino & Race Course.